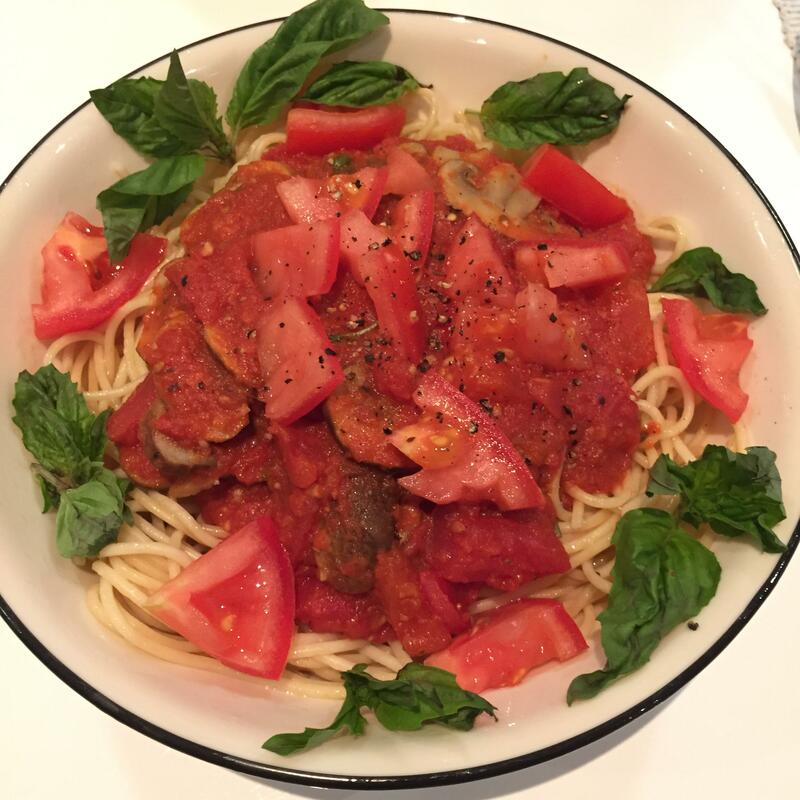 Spaghetti with Homemade Mushroom Marinara – Sage. Pre-made pasta sauce is surprisingly expensive. It’s also often loaded with sugar and salt. A simple can of tomatoes, on the other hand, is cheap and additive-free (if you buy the right can). In this sauce, the canned tomatoes are simmered with garlic and olive oil, then pureed with the immersion blender. The sauce was completed with mushrooms, herbs and spices, and additional fresh tomato slices. Garnish with fresh basil.